On its site there was originally a heathen shrine which the Romans later worshipped as an early Christian sanctuary. A rock source surges here; people ascribed a beneficial curing power to its waters in case of eye ailments. Since the 11th century the site has been consecrated to Saint Quirin and from the beginning of the 13th, services were held in the two caves of the chapel. 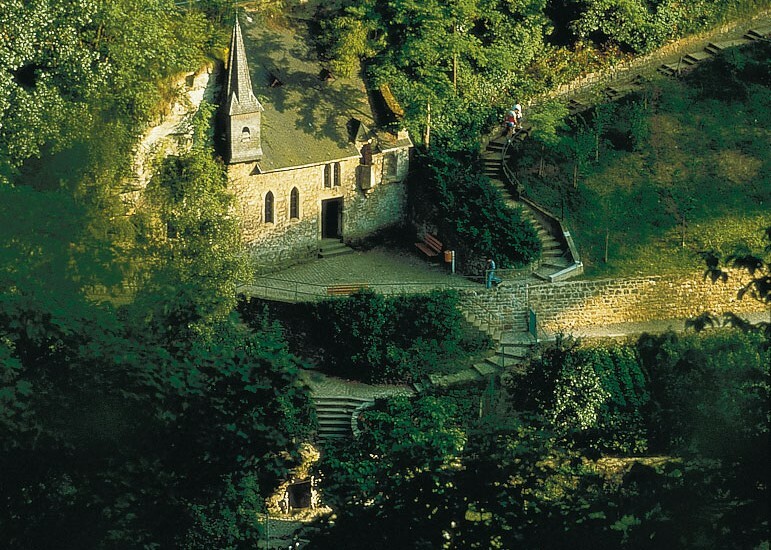 The Gothic pilgrimage chapel, partly hewn in the rock, was erected in 1355, while the roof and the small belltowers were added afterwards, at the end of the 19th century.